The story of Mas Doix begins in 1850. Wars, economics, and phylloxera prevented 150 years of unbroken vintages, but in 1998 the Doix and Llagostera families revived their estate near Poboleda, in southern Catalonia. Today, they are leaders in quality and their wines are among the best in the region. Their wines capture the unique micro-climate formed by the Montsant mountains and the Mediterranean: the hilly, rolling landscape; the unique schist llicorella soil. It’s an intense region. The wines of Priorat are dark and deeply fruited, full-bodied, and framed by oak. At the core, there’s a dense minerality. The top wines use higher proportions of Carignane, a once maligned, now highly-coveted grape variety. We will accept your requests for these case for a limited time. When we close this offer we’ll aim to satisfy as many requests as we can. We expect orders will arrive in May 2018. No payment is necessary up front, only at the time of delivery. As always, we are only permitted to sell wine by the unmixed case. You can call or email anytime to “talk wine”: 647 955 8872 or c.mclean@rogcowines.com. I hope to hear from you. “Les Crestes” is a fresh, fruity, and expressive wine from Priorat’s exceptional 2016 vintage, when a long and moderately warm growing season produced perfect fruit. For a modestly priced Priorat, this vintage will age very well! The blend is 80% Grenache, 10% old-vine Carignane, and 10% Syrah, all culled from the steep, llicorella slate vineyards. Fruit was hand-picked in small crates, then sorted twice at the winery and vinified by vineyard parcel. The wine aged eight months in fine-grain second-fill French oak barrels. It was bottled unfined and unfiltered. Salanques is a blend of 65% Grenache, 25% Carignane (vines between 70 and 90 years old) and 10% Syrah. The winemakers select single berries for fermentation in stainless steel tanks, and the wines age for 14 months in French oak barrels of varying ages. 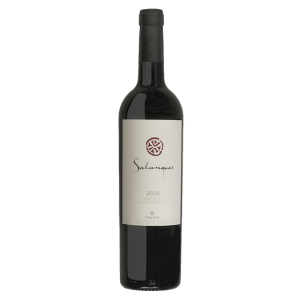 They say Salanques embodies “balance, intensity, and purity, and transmits the authentic character of Priorat”. The 2015 vintage has yet to be reviewed, but the 2014 scored 98 points in Decanter’s 2017 World Wine Awards. Jancis Robinson awarded the 2014 “Salanques” 17/20. On a trip to Priorat in 2017, we were struck by how Carignane, a grape not often discussed in North American wine circles, was treasured among winemakers, with the best cuvées receiving the lion’s share of the best old vine fruit. When crop load is controlled, however, or when vines are very old, Carignane produces rich, round, full-bodied, vibrant wine with soft tannins and bright acidity. The best can age gracefully. These are special wines worth pursuing. 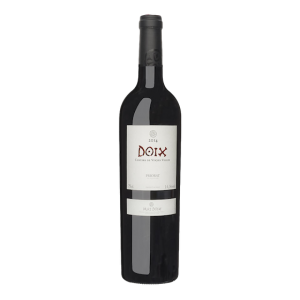 The 2014 “Doix” is 55% Carignane and 45% Grenache. The grapes come from vines between 80 and 105 years old, with small, exceptional average production of around 400 grams per vine. Harvested by hand and transported to the winery in small crates, the fruit ferments in small lots. It matures around 16 months in new French oak barrels before it is bottled unfined and unfiltered. 100% Carignane from 115 year-old vines. Sixteen months in new French oak barrels. Wow! Only three barrels made, numbered bottles. This is a centrepiece for your cellar. 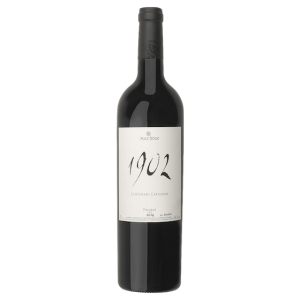 “New vintage of one of the Priorat great wines, elaborated with Cariñena planted in 1902. Limited and exclusive production of 880 bottles. Bright crimson red colour, medium depth and intense dark violet trim, slightly tinted fine tear that flows quickly throughout the glass. In the nose initially it shows a bit closed and it is necessary to be patient. It is a slowly opening wine and it takes up to 2 hours to start showing its initial records. Then forest fruit aromas appear with red currants, blueberries, fleshy and ripe blackberries, fine and elegant roasted aromas from the French barrel that delight us with a subtle perfume of vanilla pod, cinnamon powder, and the soft minerality that it is characterized by suddenly appears. The llicorella is gaining ground as the wine is opening but we still need to be patient. Mountain herbs with fresh balsamic aromas, licorice root and fresh eucalyptus gradually lighten its remarkable aromatic structure. It is worth noting that after a decanting of 4-5 hours the wine shows an impressive balance of aromas and a deep nature of ripe fruit, fresh violets, wet slate, grain spices and nutmeg, everything in its purest state.